Be it natural eye makeup or a pair of dramatic peeps, Maybelline New York never fails to top the chart as the favorite brand of Indian women. Apart from its curling, lengthening, thickening, and volumizing formulae, there is also a range of colored mascara launched by Maybelline. 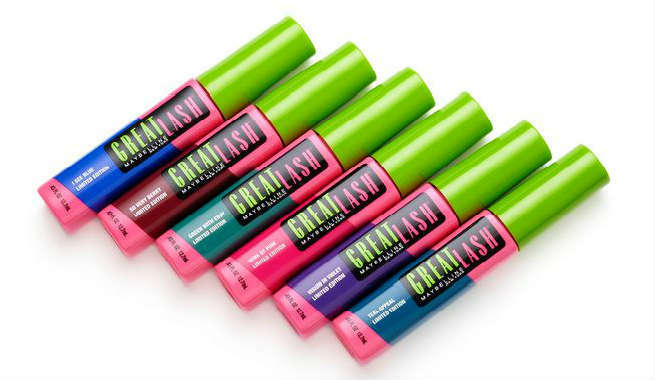 The brand came up with its ‘Great Lash Limited Edition’ in 2012, which offered full-on drama with its 7 runway-inspired shades including ‘Pop Of Purple’, ‘Green With Envy’, ‘I See Blue’, ‘Teal Appeal’, ‘Wink Of Pink’, ‘Vision In Violet’, and ‘So Very Berry’. Even though it was a ‘Limited Edition’, some of the shades are still available on Indian as well as other e-commerce sites. Price: Rs. 600 for 12.7 ml. When it comes to getting quality international makeup products at affordable price points, NYX Cosmetics is the name that you can certainly rely on. The brand has earned immense popularity in India for its unique makeup products and its ‘Color Mascara’ range is also not out of the loop. It comes in 8 fun and vibrant shades like ‘Blue’, ‘Brown’, ‘Coral Reef’, ‘Forget Me Not’, ‘Mint Julep’, ‘Perfect Pear’, ‘Pink Petals’, and ‘Purple’, which can flutter your eyelashes with striking hues and make them look gorgeous in minutes. 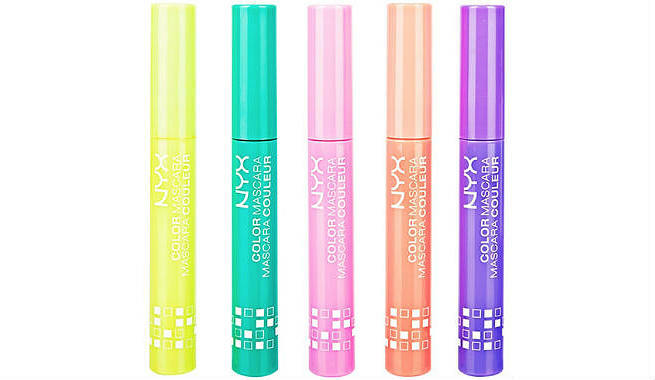 The best thing about NYX color mascaras is that they are highly pigmented with great color payoff. You can easily find the products online in India. 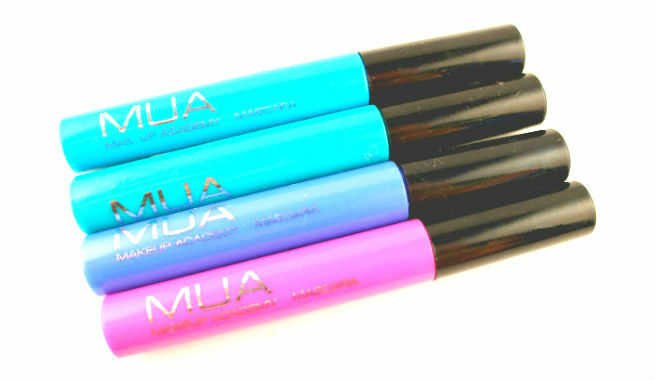 MUA is well-known for its cruelty-free, reasonably priced products that are in sync with the latest trends. 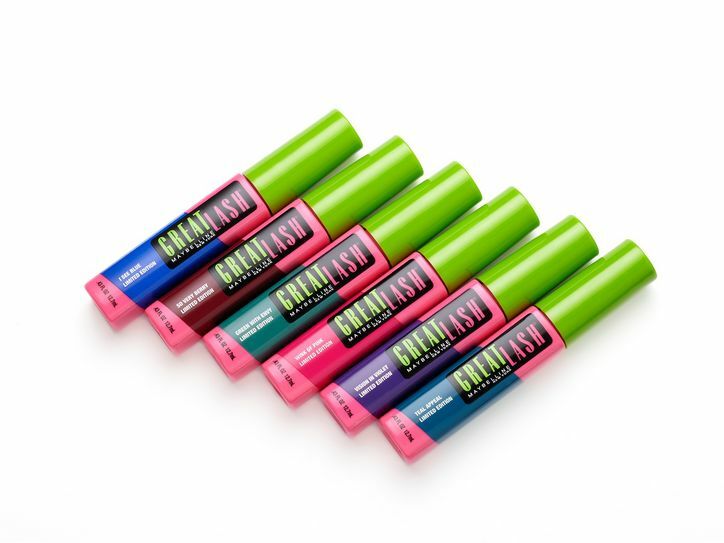 The colored mascaras by the brand are especially known for their beautiful texture and amazing quality. There is a total of 8 shades in the range. However, only 4 shades i.e. hot pink, mint green, electric blue, and dark brown are available in India, which can be bought online easily. The eye-catching shades can give your lashes a super voluminous look in just a single stroke and keep you absolutely fashion-forward. Price: Rs. 700 for 5 ml. The brand L’Oreal Paris needs no introduction. Being a truly global beauty brand, it promises to offer some of the best quality products and that is equally for their ‘Color Creations’ range. 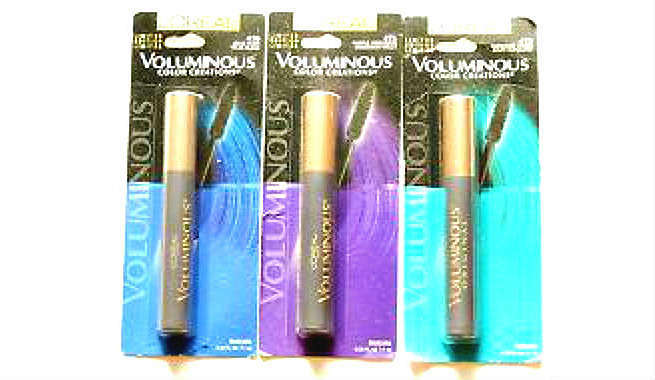 It was a limited edition range of three different shades of eyeliners and mascaras such as navy blue, purple, and teal. However, the products are still available in India on certain online beauty stores. 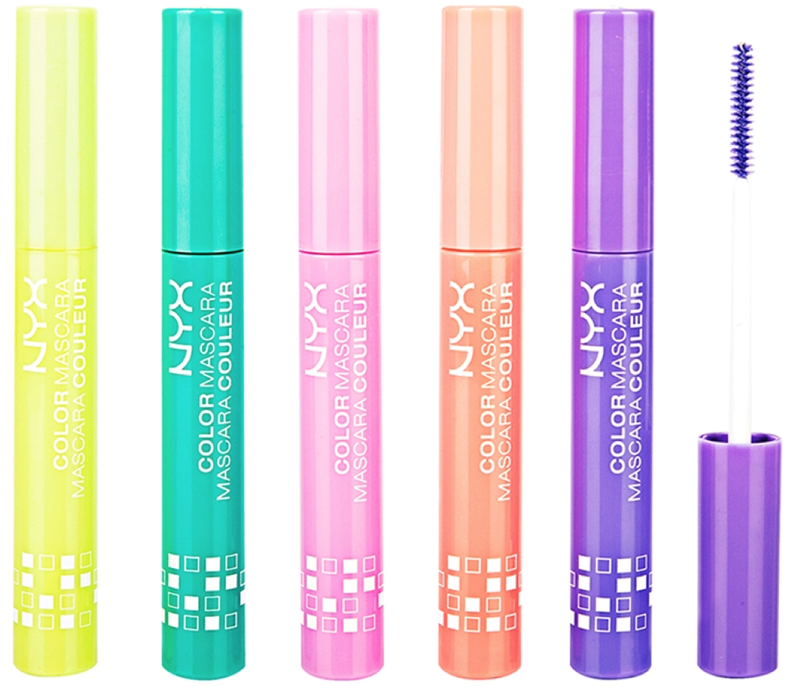 The colored mascaras are just perfect for both elegant day makeup and glamorous evening looks. Price: Rs. 795 for 10.5 ml. 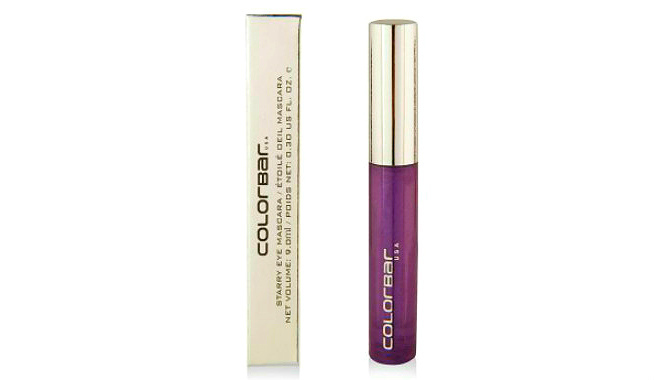 Colorbar is one of the leading brands providing color cosmetics to Indian women since 2004. The ‘Starry Eye Mascara’ is one of the most popular ranges of eye makeup items launched by the brand till date. It features three water-proof and intensely pigmented shades including ‘Starry Blue’, ‘Starry Green’, and ‘Starry Mauve’. These seductive colors are claimed to be infused with pearls, which helps in brightening up the eyes instantly. 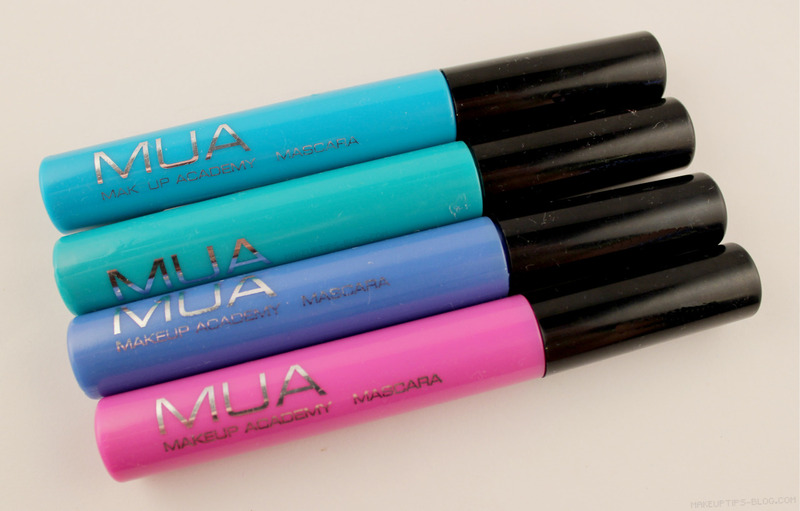 Choose it if you want to look uber chic with long-lasting hues on your volumized lashes. Price: Rs. 650 for 9 ml. Gold, warm oranges and different shades of brown suits blue eyes very well. 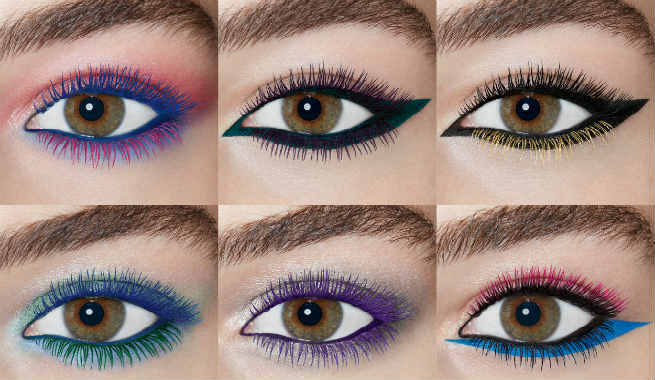 For green eyes, go for deep forest green, pale green, lilac, purple, deep violet, etc. 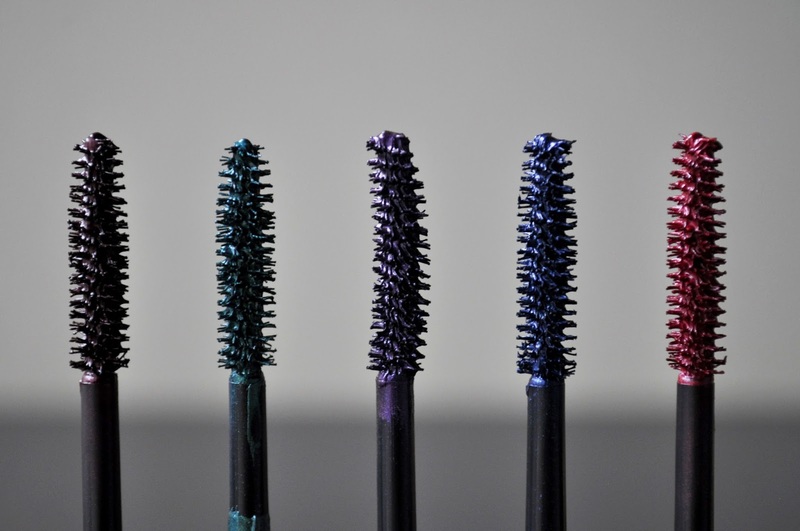 To choose mascara for your brown eyes, stick to colors like blue, turquoise, navy blue, charcoal, and so on. Gray eyes can opt for a wide variety of intensifying shades, which include sea blue, apricot, chocolate brown, charcoal, lavender, etc. When confused, pick navy blue as it goes perfectly well with almost all eye colors. Make sure that you conceal your under eye circles nicely in order to prevent color interference. So are you game to sport bold yet stunning looks with vibrant shades of mascara?